A nice benefit of real estate investment is all the potential tax benefits. A well-thought-out real estate strategy can generate tax-sheltered or even tax-free cash flow for years. However, as any seasoned real estate investor will tell you, there are times when real estate investments generate losses whether from the aggressive use of allowed depreciation (good) or some vacancy or rental loss (bad). Common sense might dictate that those losses could be deducted in the year they occur, but because real estate income losses are always subject to the Passive Activity Loss (“PAL”) rules of the IRS, this is not always the case. PAL rules are a set of IRS rules that stipulate the losses from a passive activity can only be used to offset income or gains generated from other passive activities. In other words, they prevent investors from using losses incurred from income-producing activities in which they are not “materially involved” to offset ordinary income. And when it comes to real estate, losses are always classified as passive losses. All is not lost, however. If you don’t have enough passive income or gains to use up all of your passive losses, the losses can be ‘suspended’ and carried forward (but not back) indefinitely until you have passive income to offset with your suspended losses. you or your spouse qualify as a real estate professional. If you earn less than $100,000 a year in household income, you could deduct up to $25,000 in passive losses. As your income increases above $100,000, that $25,000 is phased out at a rate of $0.50 per every $1. By the time your income meets and exceeds $150,000 annually, that deduction goes away. The other exception to the PAL rules is the one for real estate professionals. Unlike the $25,000 exception described above, this is a complete exemption from the rules--that is, landlords who qualify as real estate professionals may deduct any amount of losses from their other non-passive income. However, make sure you meet the requirements of IRS Sec. 469(c)(7) before you just assume that you qualify here. The bar is set pretty high. But you might not meet either of the above criteria and, when tax time rolls around, having that suspended passive loss could be extremely irritating; it almost feels as though you might be leaving money on the table. The good news is, you can take advantage of provisions and strategies to tap into your passive activity loss, and minimize your tax liability in a given year. Add value-add properties in core areas, or strong secondary markets, to your portfolio. Buy properties that require some kind of rehabilitation – and hold on to them for a few years. Under the new tax laws, you can claim 100% of the cost of the improvements in the year in which they’re implemented. This move will generate suspended losses in the first couple of years. However, in the following years, that suspended loss can be applied against the passive investment income you may earn from the asset and thereby increase your after-tax return. Buy into a syndication, corporate entity or partnership. Investing in a real-estate owning Delaware Statutory Trust (DST), limited liability company (LLC), or limited partnership (LP) can provide you a nice stream of income. Even better, is that you could use suspended losses to offset passive income generated by these passive investment vehicles. There is, of course, no guarantee of income. Sell your property. Selling a rental asset for gain can help activate suspended passive losses from your other properties. For example, if you sell your duplex for a gain, you could activate the suspended loss created by expenses from your office building. Better yet, combine the use of your suspended losses with a 1031 exchange. The use of your suspended losses reduces your capital gains tax liability and a 1031 exchange can defer the remainder for an extended period of time. Suspended losses are a reality for many who invest in real estate. Careful planning, along with consultation with knowledgeable professionals, can help your utilized those losses to mitigate your tax liabilities when the time is right. 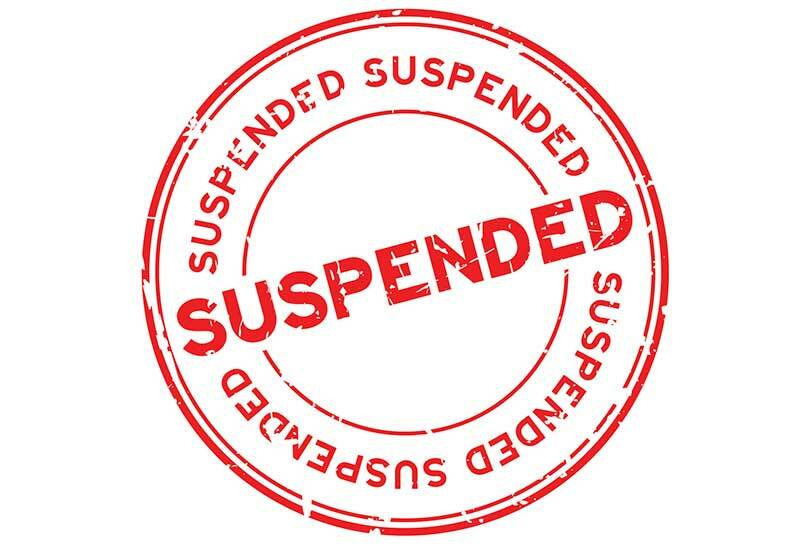 If you have any questions about the rules regarding suspended losses or how they can be utilized, please visit us at Realized 1031.com or call us at 877-797-1031. What is a 1031 Exchange? eBook. © 2019 Realized Holdings, Inc. Realized does not make investment recommendations, and no communication through this website or in any other medium should be construed as investment advice, nor does it make any recommendations regarding the appropriateness of particular opportunities for any investor. Realized does not provide tax or legal advice and no communication through this website or in any other medium should be construed as tax or legal advice. All prospective investors must certify that they are accredited investors, suitable for this type of illiquid investment, and must acknowledge that they have received and read all investment terms and conditions. Many investment opportunities posted on this website are “private placements” of securities made pursuant to an exemption from registration and have not been registered with Securities and Exchange Commission (“SEC”) or any state securities regulator. Securities offered on this website are not publicly traded, are subject to holding period requirements, and are intended for investors who do not need a liquid investment. Securities offered on this website are NOT bank deposits (and thus NOT insured by the FDIC or by any other federal governmental agency), are NOT guaranteed by Realized, WealthForge or their respective affiliates, and MAY lose value. Realized makes no representations or warranties as to the suitability of any investment opportunity posted on this website as eligible like-kind property in connection with tax deferred exchanges under IRC §1031. Neither the SEC nor any federal or state securities commission or regulatory authority has recommended or approved any investment opportunity presented on the website or the accuracy or completeness of any of the information or materials provided by or through the website. Investors must be able to afford the loss of their entire investment. Any financial projections or pro-forma returns shown on the website are illustrative examples only, and there can be no assurance that any such projections or valuations provided are accurate or in agreement with market or industry valuations. Any investment representation or information contained herein has been secured from sources Realized believes are reliable, but we make no representations or warranties as to the accuracy of such information and accept no liability therefor. Offers to sell, or the solicitations of offers to buy, any security can only be made through official offering documents that contain important information about risks, fees and expenses. Investors should conduct their own due diligence, not rely on the financial assumptions or estimates displayed on this website, and are encouraged to consult with a financial advisor, attorney, accountant, and any other professional that can help you to understand and assess the risks associated with any investment opportunity. Fluctuations in the value of the assets that are the subject of any investment are to be expected. Tenant vacancies, competition from similar properties, or potential environmental conditions at the property may negatively impact rents and cash flows. Additional risks exist due to a variety of factors, including, but not limited to, leverage, market risks, business risks, management, adverse tax consequences, and such other risks more particularly described in the related offering materials. There is a potential for loss of part or ALL of the investment capital, and each investor should understand that all capital invested may be lost. Investors should only consider these investments if they have no need for liquidity and can bear the risk of losing their entire investment. Check the background of this firm on FINRA's BrokerCheck. *Past performance is not indicative of future performance.